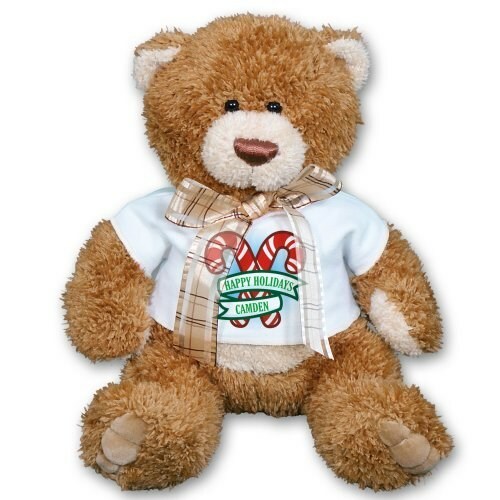 Christmas day will be filled with wonderful spirit when you give a wonderful teddy bear like this. This holiday design is featured on our Brown Sugar Teddy Bear. Brown Sugar has a rich brown color with contrasting fur inside the ears, on the snout, belly and paws. A classy sheer ribbon finishes off the look. He measures approx. 11" tall and is s Measuring about 11 inches tall and is surface washable. Free personalization of any name is included as well as a free gift card and free gift wrapping to create a thoughtful presentation.